NetHunt CRM integrates entirely with Gmail, placing the full-featured Sales CRM right next to the work emails. Everything a salesperson needs is now available in the Gmail inbox - email tracking, customer profiles, deals and opportunities, data filters and views, team collaboration, bulk email and much more! The idea behind NetHunt is to add CRM functionality to every service and app you use daily and make the CRM follow you, not the other way around. A full-featured CRM right next to work emails, chat messages, social media profiles or calendar events. We're making this possible. I love the ability to share correspondence with the team just by linking it to a record. There isn't anything I dislike. I could some improvements in the future but the NetHunt team generally do that before we know it needed to be improved! Get the trial and watch the videos. Use it and spend the time to set it up. Once you have done that you will be amazed at how easy it is to use and will quickly become critical to your team operations. "NetHunt CRM is the best CRM I've used and enables our team to handle all CRM tasks with Gmail"
If you like to customise your fields and views and work in Gmail then this is the perfect choice! Super easy to setup, does not require any special skills. It just works! One of the best things is that it runs in your Gmail interface and there is no separate software to deal with, which normally takes up time and makes people not use it. Very good functionality - followups, deal management, customer management, collaboration and more. Tech support is great and you can communicate with a real person when needed. There are some minor glitches, probably as it is relatively new. Of course, it runs on Gmail so in case you are using anything else it may be an issue. Deal management - seeing all relevant communications under one topic. Collaboration - letting all relevant people easily access this information. Followups - making sure nothing is lost in the process. In other words - put the vast amount of data in the organization's communication to something much more actionable and provide managers with great visibility as to what is going on. "Super ease-of-use in Gmail integration + iPhone app. Top-shelf support. Great price-point. Big fan!" 2. Prevents anyone falling through the cracks because its so easy to tag an unassociated email/person with a Customer Record. "The solution I've been looking for"
"Good, simple, light and powerful CRM"
I'm not a big expert on CRM, but NetHunt seems like a pretty solid system with its own Google mail integration. Becuase we use Gmail for emailing our contacts, it's very convenient to have their data next to the same emails or have a possibility to add a new contact by converting emails. There are slowdowns when working with a big number of records (we have over 100 000 in the system). One of the best solutions for Gmail I've seen. I had to email and call our client every day then update the spreadsheet. Now with NetHunt, this process is way simpler and faster. Plus it gives me a list of follow-ups for the day, so it's a rather straight-forward plan for a day. "Nethunt CRM is easy to use and beautifully integrated with your Google account." All your customer information can be found on one page including the calendar appointments, notes and documents. If you want to create multiple workspaces, you have to pay for each workspace. It would be nice if that could be done on one paying account. That's also possible, but then you need more creativity. Try different CRM packages and make your choice. I have researched Apptivo, Capsule, Agile crm and Pipdrive. I implemented Apptivo but I finally chose NetHunt because of the price, the possibilities, simplicity and integration with G Suite. With the software, I create all the necessary data from customers on one page instead of different places with the risk of losing it. "A perfect system for sales"
The app is near-perfect save for a few rough edges. For example, custom fields (while unlimited and rather robust) aren’t that easy to set up once you see that you need one. Other than that, it’s great! Spend some time managing custom fields and the result can turn out pretty great. Worth the time. Mostly sales management. We have a lot of requirements and gather a lot of data, so having a simple CRM which lets us house all that is a great solution. "G Suite CRM at its finest"
It's a simple system that works great with Gmail. We've been previously using Google Sheets and Excel for our client database and NetHunt is definitely a great upgrade. As of today, there's little to be desired. There are minor inconveniences, but they are unlikely to be a dealbreaker for anyone. Just give it a try and see if you like it. If you're using Gmail, this is definitely a good option. And, I can't stress it enough, just get over the spreadsheets! As I've mentioned, we've been previously using mostly spreadsheets to manage our clients and, considering their number, it was a hell to wait while it loaded. While NetHunt isn't lightning-fast when loading all of the records at once, this is definitely a better way to manage updates and calls. Also, the Gmail and Drive integration is a big "plus" as we've been using those for a long time already. "Sales and marketing, combined in Gmail"
Nothing, literally. The moment I start nitpicking on something, it immediately gets fixed or improved. Nice to see that the service is alive and always improving. It’s an awesome CRM with a good potential for growth. Start with requesting a demo and see for yourself. I’m using NetHunt to organize my communication with bloggers and outlets. Shaping the system according to my workflow is very convenient. As all communication happens via email, I can organize emails into records and find all important info next to the said email. 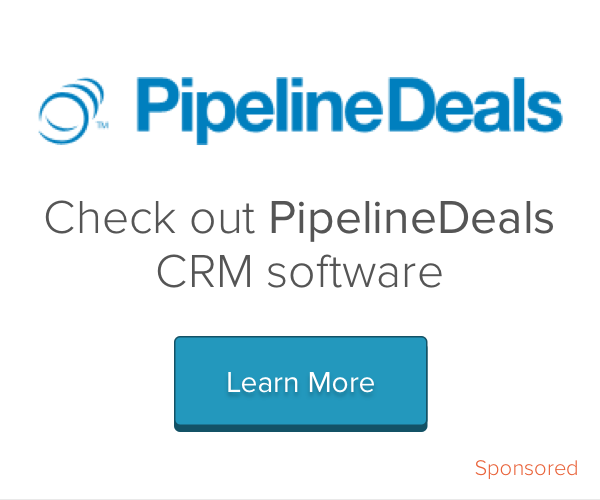 "A fantastic flexible CRM that is easily adapted to other uses"
The flexibility it offers, ease of creating saved views (filtered, groped etc) and links between sales pipeline and contacts. All this at a great price too compared to Streak. It is a real pleasure to configure and use. Email follow-up is not as sophisticated as Streak but this is easily sorted using other extensions. This (obviously) is not a key feature MO. International sales follow-ups, progressing; routine supplier contacts, organisation of freight (warehouse collections, deliveries etc.) and website content population (handling of multiple sources of information daily - each requiring entry onto websites that take several sages to complete). "Nethunt has saved me so much time!" All my customer's details up to date and all in one place. After testing various programs, Nethunt was the most customizable to my needs. I tried a few, and found Nethunt to me the most customizable to my needs. No more searching through email to find customer's details, or going off to another programme like Mailchimp to find the details. It also easily connects with Zapier to Wufoo and Mailchimp to automate entering of customer details, so eliminated this repetitive process! "It's simple, user friendly and exploding"
I love that we could upload 40K+ entry customer database straight from the Excel, and NetHunt customer support made it happen with no questions. Some times it works a bit slow, but only when I am trying to load huge data sheets. We are commercial real estate professionals, so we upload all the premise database and all the customer/company database. Because it integrated in the Gmail, so the same search engine is used, which is the greatest. Simplicity and Inside Gmail, I like the colors also and the pipeline and customization. The only other similar Product is Streak which has been on the market longer. Nethunt is in catch up mode adding new features all the time. I prefer Nethunt look and way they deal with follow ups. Also the Pricing is much cheaper for Nethunt. Try the Demo as unlike Prosperworks, Insightly, Zoho and all the rest claiming Google integration they are just sidebar apps when it comes down to it. Nethunt lives in your gmail box and everything takes place from there. If you live in your Gmail Box you must check it out or want to have less apps and keep things simple. "Great personalization and email tagging"
What I like best about Nethunt is that you can build your own structure completely from scratch and really customize it to your business. This is of course with the given functions within the program which support multi level sales and processes. Sometimes the program does not open automatically within my email and that's been my only frustration. We have much better organization and overall management of our sales and clients within specific timelines and phases. "Awesome CRM living in my Inbox"
I love that all the things that are scattered in my G Apps are stored in one place and I do not get lost in my mail. I’d like to create tasks for the records instead of follow-ups. I’d suggest requesting a demo as all the product experts are flexible and willing to help you out. Also, the price is by all means affordable for all teams. Using NetHunt for managing our ad partners. It makes it easy to follow up on the current contacts and create new contacts with detailed descriptions and files. "Amazing CRM for Any Startup"
A really simple add-on to any startup to be able to run the business from Gmail. "One of the best G Suite apps"
NetHunt is a very simple to use system. But behind that simplicity lies great functionality and customisation possibilities. Mass mailing and email tracking are a very welcome addition to its marketing capabilities. When a system updates you have to refresh the tab with Gmail. This never happens when you’re amid doing something, but still annoys me a bit. Aside from that - nothing. This is a solid tool for managing both sales and marketing. Will satisfy both. We’re using NetHunt CRM for managing our marketing leads. Once you set it up to match your workflow, the system becomes very easy-to-use and it basically follows your workflow. This is one of the best things of NetHunt - overtime you stop noticing it. "Setting up and starting using Nethunt CRM for Gmail in less than a day"
It seems like the integration features with non G-Suite services need improvements and further development. 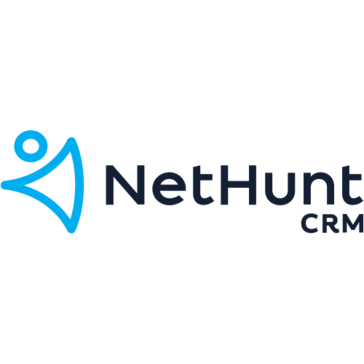 If you are in the SME or consulting business and use Google G-suite, I would highly recommend testing using NetHunt CRM to get started easily with your team. No need to have and switch between multiple Chrome windows to access different features. Also no need to have data copied or duplicated in different apps. Cost savings, efficiency and ease of use biggest benefits. "Very impressed with customer support and product value"
I was very thankful to receive some quality customer support, and feel like I'm getting a great product for an appropriate value (considering some CRMs charge ridiculous/unrealistic fees). So far, they've been able to answer every question I had and every hurdle that I thought there might be, compared to using another program has been resolved. No dislikes yet. We're tracking sales as well as client support cases. "A great CRM for Gmail users"
Start a trial and ask for a demo. The support was helpful. They showed me several tricks that weren't that obvious from the beginning. I'm using NetHunt CRM for customer support management. It was pretty easy to setup the process from start to finish in NetHunt. Now my team can instantly process support requests once they receive them and I can see the whole process unfolding right in Gmail. Has all the features we need and the price is much lower than our previous system. "Try it and see for yourself!" We use NetHunt in our work, CRM allows us to manage relationships with new suppliers. Makes it easy to store all of their contact data, comments and emails. Provides the ability to sync our NetHunt database with Google Drive. You did a great job, guys! Thanks. Sometimes it automatically creates duplicate lines in the table that you need to monitor and delete. NetHunt. Create a duplicate on the first column. Just try it and you will like it for sure. Allows our team of remote and local workers to work on projects together to achieve results faster. Very simple to use system, with clear fields and easy to pull data into reports. We would like to have some client profile fields before entering into the system of each booking. the new format with the history logging of actions and pulling reports has been very helpful. "Great CRM for sales management and mass mailing"
Gmail integration is one of the strongest sides of Nethunt CRM. I can manage all incoming emails and tasks and link them to their records in the inbox. The navigation takes time to get used to. Follow-ups are lacking reminders. Compared to Streak and Prosperworks, this is THE true Gmail CRM. Give it a try (product experts help A LOT during the trial period and even after it) and you’ll see how effective it is. Mostly client management and orders management. Creates a very smooth workflow around emails and makes mass communication possible with native Gmail features. Отличная CRM для рекрутинга, осваиваем систему уже 2 месяца, пока что все отлично. очень удобно заносить кандидатов в базу прямо из почты. Ручная настройка всех панелей, сохраняемая история по каждому кандидату. Ждем обратную синхронизацию с календарем, а также было бы отлично, если бы была возможность заносить в базу и конвертировать в резюме страницы LinkedIn. Оптимизация бюджета на использование CRM, автоматизация рутинной работы рекрутера. "Better than a typical CRM"
Has a nice UI. Pretty simple to use. Offers more features than similarly-priced tools. Setting up and using followups is a clumsy experience. Keep in mind that NetHunt is paid not per user, but per team. It’s not a bad thing. Depending on your size, it can be very affordable. My company uses NetHunt for managing clients, inventory and keep a DB of locations. When we receive an order, it’s easy to link together all of the above things for a complete view and easy access to all of the data. Mass mailing tools are excellent. The app work could be improved. We store all sales data in one place. Makes communication between two distant offices much better. "Cost-efficient CRM with good support team"
Manage our customer and leads base, communicate inside the team. We looked for a solution that was integrated inside Gmail in order not to add another platform and keep our workspace simple. "A great piece of software!" I love that this CRM works completely within Gmail itself so there is no need to keep navigating away to other software. Very easy to use and customer service has been excellent, answering any questions quickly. Great price too! It took a while to get the hang of editing each stage in the pipelines but customer service got me there quickly in the end. "Simple CRM inside your Inbox"
In addition to basic CRM functionalities like kanban views of Deals stages and lead source tracking ,I found some of the features are valuable for my needs including follow ups and email tracking. Functionalities that I would like to see in the future includes, delayed/scheduled emails and scheduled sequence of emails with reply/open detection. NetHunt helps me to keep a track record of my conversations with sales leads and customers, without switching tabs between my inbox and CRM. I like that if a team member has to be out of the office, any other team member can seamlessly access their past work with clients. I do not like that the price changed drastically just months after signing up. This keeps us organized and keeps everyone on the team on the same page. The flexibility to design workflows around all kinds of processes. It's much more then just a CRM once you get used to work with the product. It's not possible to attach word and pdf documents to records. That would be a great feature to have. "Great system, love working with it. " collating information all together and making sure we can all see and input this info. Simple Collaboration with my team. Collaborate with a single click. Share folders, email, files, and anything else needed to get the job done. Multipurpose. "The ease of use and the flexibility makes efficient the development of small companies like us." The ability to handle easily that kind of daily tool is much important. The integration with google could be better, sometimes it doesn’t works as fast as I need. Allowed myself to get focus on the commercial using that the technical part. "The best CRM App for Gmail"
With the Agile CRM Gmail integration, we can track our Gmail emails in the CRM, access contacts from both applications. There are minor inconveniences, but they are unlikely to be a dealbreaker for anyone. "Better user CRM experience than others"
We use Enterprise-Level CRM Features whith folders and mass mailing sender. Perfect For our G Suite. Perfect for Sale Follow-Ups. Sometimes Google Chrome is slow and freeze. Many updates for mobile XP. We record our clients data and we can follow who to call next. "A good working gmail extension"
I liked that it is easy to use and relatively cheap. I don't like that it asks me to connect and sync with it when I log into my non-work emails. It's a nice way to keep track over your job applicants. "Great CRM seamlessintegrated into gmail"
Great CRM for Sales and very easy to use. "Very Simple to use and can be customized "
Simplicity and User Interface. It is very easy to implement. You can start going from day1. Need more features like reporting dashboard. "Good Hiring CRM for us"
Conflicting with other extensions I use, therefore sometimes longer loading times. We use NetHunt CRM for hiring only. * We monitor all NetHunt CRM reviews to prevent fraudulent reviews and keep review quality high. We do not post reviews by company employees or direct competitors. Validated reviews require the user to submit a screenshot of the product containing their user ID, in order to verify a user is an actual user of the product. Hi there! Are you looking to implement a solution like NetHunt CRM?